Fans of the L.A. Dodgers can almost taste it, the sweetness of a World Series championship after 28 dry years. All they have to do is continue what they’ve been doing — chalking up the best record in major league baseball with their solid lineup — and make sure Clayton Kershaw is healthy for the postseason. 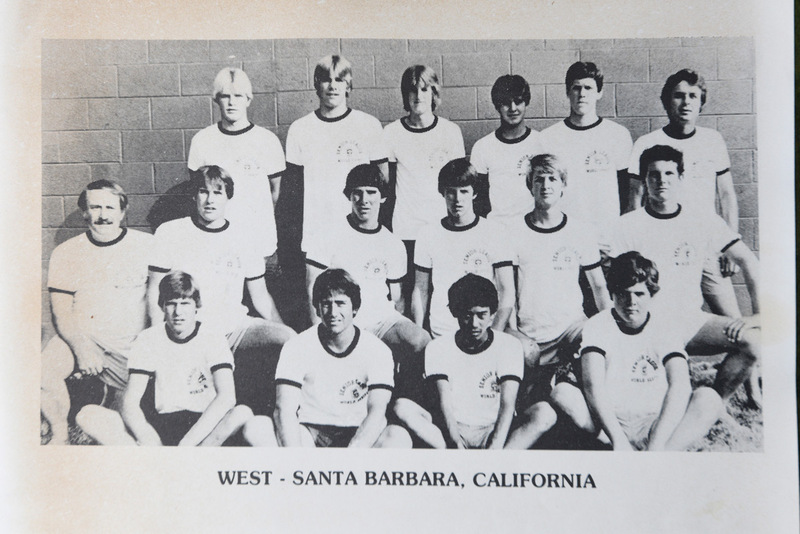 Thirty-five years ago, a bunch of 15-year-old man-boys from Goleta and Santa Barbara showed how it’s done. 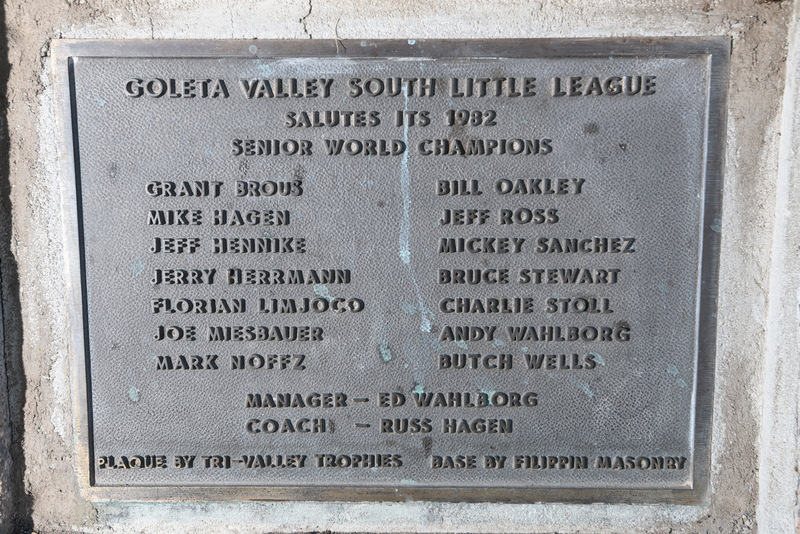 No team has ever fulfilled its destiny more convincingly than the Goleta Valley South Little League All-Stars, who stormed to the championship of the 21st annual Senior League World Series at Gary, Indiana. Wells, nudging 6ʹ tall, was a fearsome sight at bat or on the mound. “At 15, I was the same height I am now,” he said. 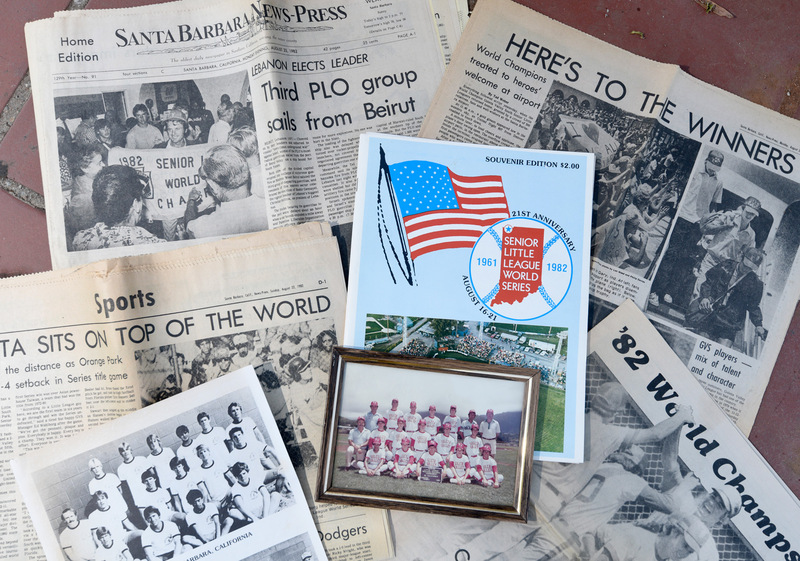 They gave a glimpse of what was to come as 12-year-old All-Stars in 1979, when they came within a game of making it to the Little League World Series at Williamsport, Pennsylvania. An untimely flu bug hit Goleta before the Western Regional championship game against Campbell, California. “I didn’t grasp how good a team we were until we made it that far,” Wells said. That summer laid the groundwork. Nine of the 14 All-Stars in 1979 took the field in 1982, including the infield of second baseman Andy Wahlborg, shortstop Mike Hagen, and third baseman Jeff Ross, as well as catcher Joe Miesbauer. 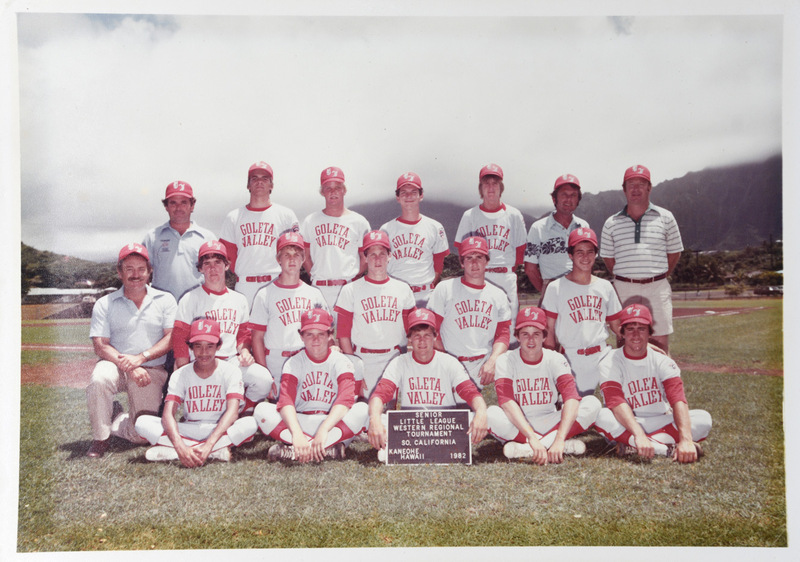 In the meantime, they won the California state championship in 1980 — as far as they could go in the 13-year-old division — and they competed in the Senior Division as underaged 14s in 1981. They had few close calls in 1982. After sweeping through the Western Regional tournament in Oahu, they flew to Chicago and were shuttled to Gary, Indiana, where they faced their biggest challenge right off the bat. Eight teams were in the Senior World Series — four from the U.S. and four international entries — and Goleta Valley drew Taiwan in the first round. The Far East champions had won nine of the previous 10 world titles. “We were down 5-0 in the fifth inning or thereabouts,” recalled Wells, but the California kids came back and won, 8-5. In their next game, they blew out Aruba, 9-0. Then in a showdown of undefeated teams, they prevailed over Orange Park, Florida, in 10 innings, 4-2. Orange Park came out of the losers’ bracket for another shot, and on Saturday, August 21, Goleta put the final polish on its world title, 11-4. Nothing in sports, and few things in their lives, has topped that experience. Wells decided to play volleyball in high school, having achieved the ultimate on the diamond. “I got my goal, to be a world champion in baseball, whether it was that time, college or professional,” he said. Sanchez pitched at San Marcos and UCSB, but his fondest baseball memory was playing with his Little League pals. After the final out against Orange Park, he recalled, “The toughest thing was knowing it was all over. What are we going to do now?” Sanchez found some satisfaction in golf and works at a resort in La Quinta. “Nobody could scrap on a ballfield like us,” said Andy Wahlborg, a golf course superintendent in Phoenix. “High school broke us up.” They could not stay together, as the school district boundaries sent most to either San Marcos or Dos Pueblos, while Oakley went to Santa Barbara and Florian Limjoco attended Bishop Diego. Filling out the roster were Jeff Hennike, Mark Noffz, and Jerry Herman. Wells, an architect, and Oakley, a physical therapist, have managed to stay in Santa Barbara. They recalled that Herman died young from leukemia. Their other teammates have scattered hither and yon. They keep in touch intermittently but have never had a full reunion. No other team from the area Little Leagues, Dos Pueblos and Goleta Valley South, has made it to the World Series. The GVSLL 12-year-olds made a good run this summer that ended in the SoCal Division after they won the District and Section 1 tournaments. The 1982 championship came 15 years after the GVSLL was founded. The league had a crusty old groundskeeper, Dutch Weisz, who told the News-Press: “It took 15 years; now we can all die.” It’s been 50 years altogether now, and that one great summer lives on in memories. Several of the youngest players have been tearing it up in one of the world’s oldest sports. Jesse Bray, 24, has led the Klentner Ranch team to two consecutive tournament championships. 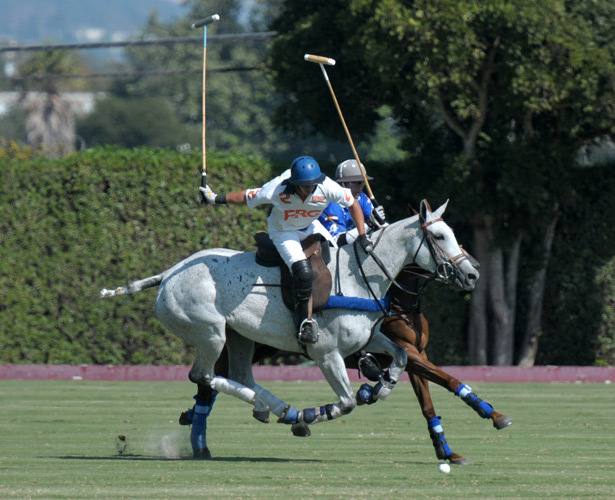 Nico Escobar, 16, plays for Farmers & Merchants Bank, while his father, Luis Escobar, and grandfather, Francisco Escobar, ride for the Santa Clara team. Trying to move up among the six teams are Lucchese, Restoration Hardware, and Sol de Agosto. The winner of this cup will take the momentum into the summer’s last high-goal tournament, the Gulfstream Pacific Coast Open. Consolation: 1pm; final: 3pm. Engel & Völkers Polo Stadium, Santa Barbara Polo & Racquet Club, 3300 Via Real, Carpinteria. $10-$20. Call 684-6683 or visit sbpolo.com.